I haven't even given birth to my baby yet (only 44 days until my due date!) and I have already experienced the powerful impact of a group a current mommies sharing advice, and in some cases commiserating. Staying at home with a baby can feel isolating, and every pregnancy / baby is different so each new child is an adventure of what ifs and what nows. Being able to discuss your fears, confusions, and uncertainties with other mommies going through the same thing right now (or just recently) is invaluable, but we cannot discount the sage advice and tried and true methods of those who parented before us. Obviously, not all advice is solid advice: in second century BC, the Greek physician Galen prescribed opium for colicky babies*. I'm sure it worked but we wouldn't do that now! Recommendations change all the time as studies are done and new information surfaces, but sometimes there is no better mothering advice than from your own mother - even if she hasn't had an infant for over 20 years. With that in mind, we approached some amazing mothers (and grandmothers) to share with us their advice on dealing with fussy babies. These are tactics that have survived the test of time. What's your best advice for dealing with a fussy baby? "I would have my baby wrapped snuggly in his favourite blanket and hold him close to my chest and whisper loving words or sing to him while gently rocking him back and forth." *From: Solter, A (1998). 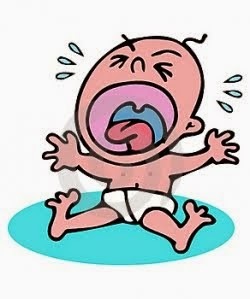 Tears and Tantrums: What to Do When Babies and Children Cry. Goleta, CA: Shining Star Press.